Most new traffic laws and ordinances go into effect unnoticed and drivers are not aware of the new rules until they are caught breaking them. 2016 saw numerous changes that enact important safety measures designed to reduce the number of accidents seen on Illinois’s roads. 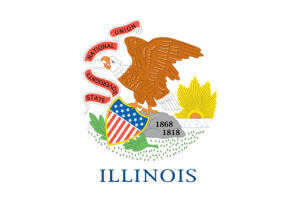 Our Illinois car accident attorneys have already studied these laws and their implications on future cases and would be more than happy to answer any questions you may have about your rights if you have been injured in an accident. Understanding the new laws in place will also help you avoid liability due to noncompliance and help make the roads safer. In what may be considered a step in the wrong direction, DUI offenders are now offered additional chances to get their act together and reinstate their licenses following DUI convictions. A law went into effect on January 1 of this year that paves a path for those convicted of this offense to return to the roads. Those who have been convicted of multiple offenses may have their licenses reinstated, but must purchase a breath-alcohol ignition interlock device for five years before they receive a full reinstatement. In the past, drivers were only required to use the device for a single year, making this new law more restrictive than in the past, but another provision in the law now provides additional opportunities for drunk drivers to return to the roads despite numerous offenses. Those convicted of four offenses previously lost all driving privileges permanently, but now these offenders are offered yet another chance to apply for a restricted driving permit if their licenses have been revoked for five years or more. They must provide proof that they have remained sober for at least three years and equip the ignition device on their vehicles for the prescribed period of time. Emergency vehicles always have the right of way on the road and recent laws have required drivers to pull over for garbage vehicles in order to reduce the chances of harming waste management workers. According to a recent survey, only one in three drivers slow down when approaching garbage and recycling vehicles and almost 40% take aggressive measures to overtake them. The new law now requires drivers to slow down and move over when approaching waste management vehicles and any vehicle with flashing lights— such as maintenance, construction or towing vehicles. As more hybrid and electric vehicles flood the roads, certain parking facilities are adding spaces equipped with charging equipment. Before the beginning of the year, anyone could park in these spaces, but having nonelectric vehicles occupy these spaces defeated the purpose of their creation. These spaces may now only be occupied by electric vehicles and those who violate this law may now be ticketed and fined $75. In order to park in one of these spaces, a driver must own a vehicle with a plug. If you have been in an accident, Rosenfeld Injury Lawyers LLC can help you recover the compensation you are entitled to for the payment of your medical bills and out of pocket expenses. Contact us today to speak with an award winning Chicago car accident attorney to learn more about your legal options and how certain traffic laws may impact your case. We only collect a fee if we are able to recover compensation on your behalf, so if we are unable to do so, our services are free.